Presentation Folders - Breakthrough Marketing, Inc.
Pre-Printed and Custom Folders Available. Make sure they will remember you. Not a DJ? Call for pricing to have us create a sales kit for your industry. 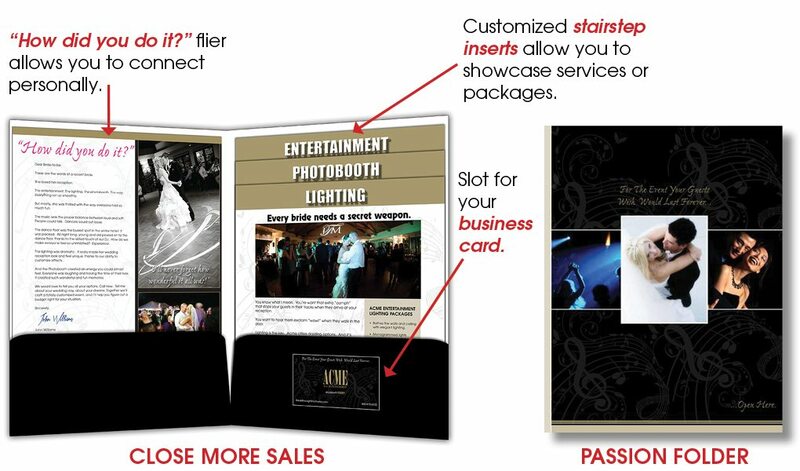 The stair step inserts pictured have headings of Entertainment, Lighting, and Photobooth. But they can be anything you want. 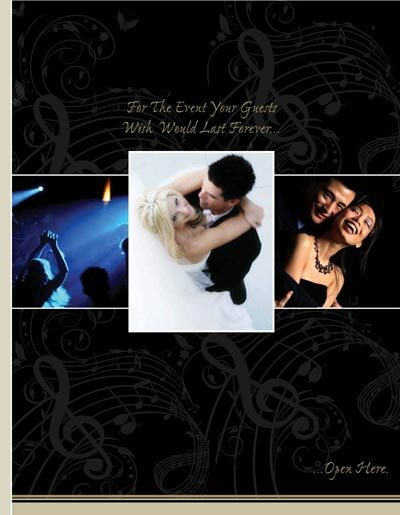 You might one with your Packages … or perhaps one just for Weddings and another for Corporate Events. You get the idea. Close more sales. Book more high-end events. Make more money. Our DJ Sales Kit is a vital marketing tool to grow your business to the next level.